Bosung is located at the southernmost of Korea peninsula. It is home of the harmony between see, pond, and mountain. It is hometown of loyal and patriotic martyrs. 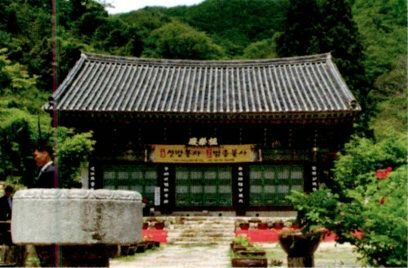 It is also hometown for Mr. Park Yoojeon who is famous for Sopyonje, Jung Eungmin of sound of Bosung and Chae Dongsun of folk music. It is also famous for green tea. Tea Plantation is representative tour site of Bosung. 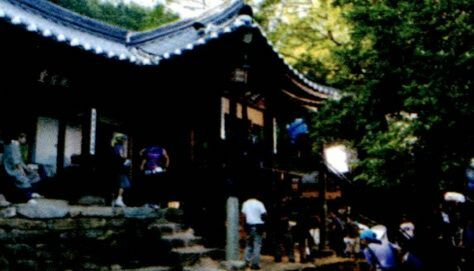 It is also famous for filming place for the advertisement and drama. The terraced tea plantation covers the entire mountain like a green and fresh ocean. It looks like a silk wave, green carpet or well-groomed garden trees. 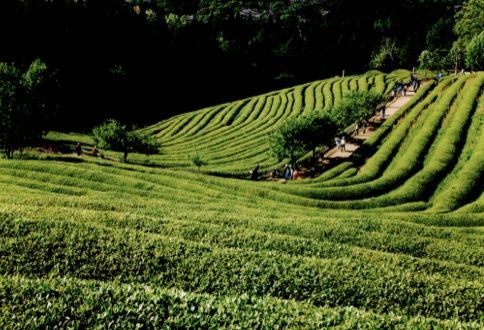 The largest tea producing area in Korea, Boseong has a terraced tea plantation on a mountainous area and its tea flavor and taste never fall behind wild tea as a quality product. The weather condition of Bosung is also good for tea. Boseong has held the Boseong Green Tea Festival every 10th of May since 1985 in order to verify the application of green tea through Dasinje (茶神祭), tea-picking, tea-making and development of the nation’s one and only seawater green tea spa. Ganggol Traditional folk village beside Deungnyangman bay and Obongsan mountain has many old traditional houses which are more than 100 years old. It is well preserved its original figure. And It can trace the way of old ancestors life with a mud wall and fence. It reminds the childhood to the adults. And It is good educational site for the kids about the life of ancestor. Yulpo Solbat Beach has the harmony of clean water, green forest and silvery sand beach. So it gets the spotlight as summer vacation spot. It is well liked to enjoy the seawater pool and sea water spa. The water is from 120 meters under the ground and it is good for the fatigue. Sea water green tea spa allows tourist to enjoy spa watching the sea. It is good for the skin, arthritis, and neuralgia. There are Cherry blossom trees at the entrance of the temple (5km). and it is Designated as one of Korea’s 100 most beautiful roads. 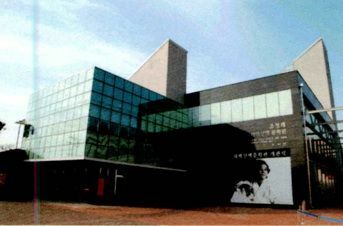 It is close to Baekmin Gallery, Tibet Museum, and Seo Jae-Phil Memorial Hall. Cheonggwang Pottery Center. Yongchu Falls is 9km western away from Boseong. 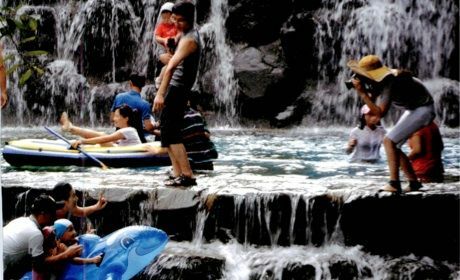 Yongchu(a pool under the fall) is called because there is Yongchu in the beautiful forest of Jeamsan mountain. 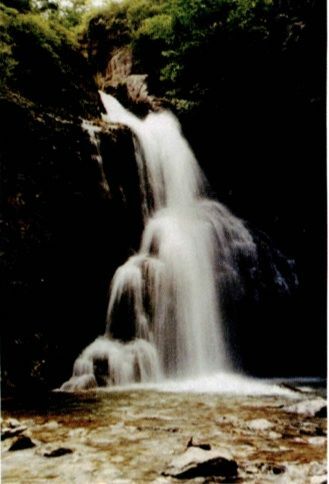 Yongchu Falls is the source of Boseonggang river southern part of Ungchi-myeon and middle part of Illimsan mountain. And at the entrance of Yongchu Falls has densely big forest and big trees. And Strong sound of fall is heard here. The length of Royal Azaleas Habitat is 12,k km from Jeamsan Mountain to Sajansan Mountain. This flowers color Jeollanam-do into pink color. This beautiful scene steals people’s mind so you need to see this scene more than twice to turn the mind back. Azaleas of Illimsan Mountain has clear red color because of see breeze. and it is tall like adults. It seems like walking to the tunnel which is made of flowers in full bloom. Mt. Illim is 664.2m above sea level, and the rugged mountain terrain is located at the end of the Honam Mountains. When you see them in Heocheon, It’s rough like guy and when you see them in Ungchi, It’s soft like mommy. The literary house is located 10m below exhibit hall. And There is a mural painted by artist Jong-Sang Lee was 81m hight and 81m long at the exhibit hall. Exhibit hall reflects black period of Korean history from the independence day to the Korean War(division of nation) with no wall at 2nd floor. Jeamsan Recreation Forest has provided the visitor of the Jeamsan mountain to relax and rest since 1996. It has 160 ha of nature forest and 7 houses of forest made of woods. There are camping Site, low wooden bench, outside classroom, sea water farm, trail, walkway, parking slots on the 4,100 sqm, and 10 arrangements for cooking.